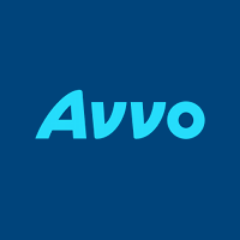 A federal judge in Manhattan has tossed a would-be class action lawsuit that claimed Avvo gave better ratings and promotional benefits to lawyers who paid for ads. U.S. District Judge John Koeltl didn’t reach a decision on the merits of the better-ratings claim; indeed, Avvo claims its ratings are objectively calculated. Instead, Koeltl ruled that Avvo’s ratings of lawyers are statements of opinion that are protected by the First Amendment and the New York Constitution. Koeltl ruled in a lawsuit by New York lawyer Kevin Davis, who claimed that Avvo’s practices violate false advertising provisions of the Lanham Act and New York law. Koeltl said Avvo’s ratings have constitutional protection because they are statements of opinion that are incapable of being proven false. “A reasonable consumer would view an Avvo rating as just that—the defendant’s evaluation,” Koeltl said. Davis had also alleged that paying lawyers got promotional benefits in addition to better ratings, including a “pro” badge by their photo. Website visitors who click on an “i” icon next to the “pro” badge are informed that lawyers labeled as pro have verified their information as it appears on Avvo. Davis said the pro badge is misleading because it implies a “pro” attorney is of better quality; Avvo countered that the term “pro,” if viewed as a description of quality, is mere puffery. Koeltl agreed with Avvo. Davis “cannot prove that the attorneys marked ‘pro’ are decidedly undeserving of the status, because in context the term has no definite meaning or defining factors,” Koeltl wrote. Another benefit, Davis had alleged, was that Avvo spotlights positive reviews of paying attorneys and blocks negative reviews; however, the alleged practice wouldn’t constitute false advertising, Koeltl said. Even if some negative reviews are blocked, that doesn’t make the other reviews misleading statements of fact, Koeltl said. He also pointed out that the Avvo website states that it has the right to withhold reviews that don’t meet its guidelines, and lawyers can request that negative reviews go through a dispute process. In any event, Koeltl said, Davis had not shown he suffered any damages from the alleged false advertising. Davis “does not offer any facts showing that consumers rely on the allegedly misleading Avvo ratings, pro badges, client reviews or statements by the defendant in choosing or gauging the reputation of an attorney,” Koeltl said.